Blue Ant Entertainment has shown strong gains and big leap in numbers in the digital space from August to October based on the channel’s Facebook demographics data. The channel’s Facebook page has been getting over 10 million video views and an average of 5 million organic post engagements monthly. 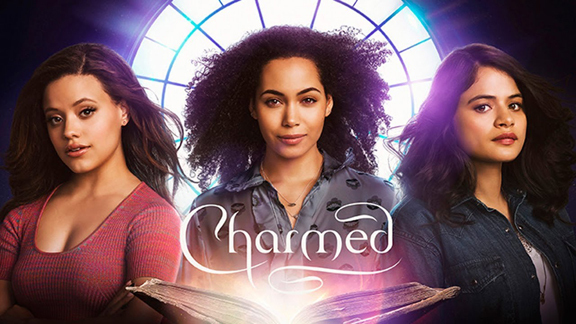 'Charmed' follows a trio of sisters, known as The Charmed Ones, the most powerful good witches in their realm. Blue Ant Entertainment’s Facebook page contains updates and teasers of its tentpole programs, such as FBI, Charmed, The X Factor UK, The Late Late Show with James Corden, as well as topics and trivia that generate human interest. Its followers also increased by 11 percent from August 2018, and have been getting an average of over 25,000 new followers every month. The X Factor UK video clips proved to be one of the favorites in the Philippine market and have been getting the most views and shares by fans. Overall, the channel’s Facebook page have approximately reached 75.6 million minutes viewed, with an average of 64.5 percent increase in its views from August to October 2018. In the numbers game for Pay TV segment, Blue Ant Entertainment has also shown good progress. The channel has climbed to the number three position in October 2018 among other general entertainment (GE) cable TV channels in the Philippines based on the data released by Kantar Media Research Philippines. The GE channel has significantly shown an increase in viewership during primetime, between 6:00PM to 1:00 AM, on both weekdays and weekends. Placing sixth in August, and fifth in September, the channel’s increase in ranking is attributed to the huge gains in key groups month after month. The channel have tapped a wide range of age group, and appeals highly in the female category. In August, Blue Ant Entertainment’s audience profile ranges from ages 25 to 64, skewing towards female. Both September and October data show the channel’s audience profile skews towards the age group of 45 to 64 years old, majority being female. The top-performing programs on the channel from August to October 2018 include Entertainment Tonight, First Dates, America’s Funniest Home Videos, and BAM Blockbuster movies among others. The channel has also climbed 16 spots in October from its position in August among all Pay TV channels in the Philippines. Ranking third among other GE cable TV channels, including a growing influence in the digital space, Blue Ant Entertainment has overtaken the lead of other well-established channels including Warner TV, Diva Universal, and FOX channels.